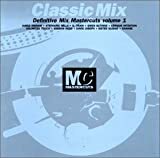 Mastercuts released its first compilation in 1991: Classic Mix. It was compiled by Ian Dewhirst and it set the scene for the many hi-quality compilations that were to follow. There have been more than 50 releases and not all of them are still in print. DRAMATICS, THE - WHATCHA SEE IS WHATCHA GET (ORIG. FULL..
CLASSIC SALSOUL - !!! DELETED !! !